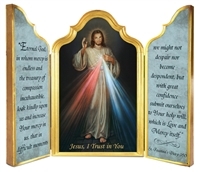 Our mission as a Catholic books and gifts store is to help our customers know and love God with all their heart, mind , body and soul. By providing products and services targeted to Catholics we help guide them on their spiritual journey. Copyright © 2013 Trinity Management, LLC. All Rights Reserved. Built with Volusion.